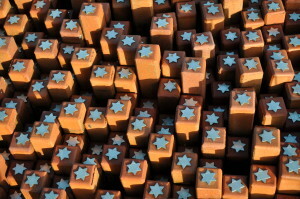 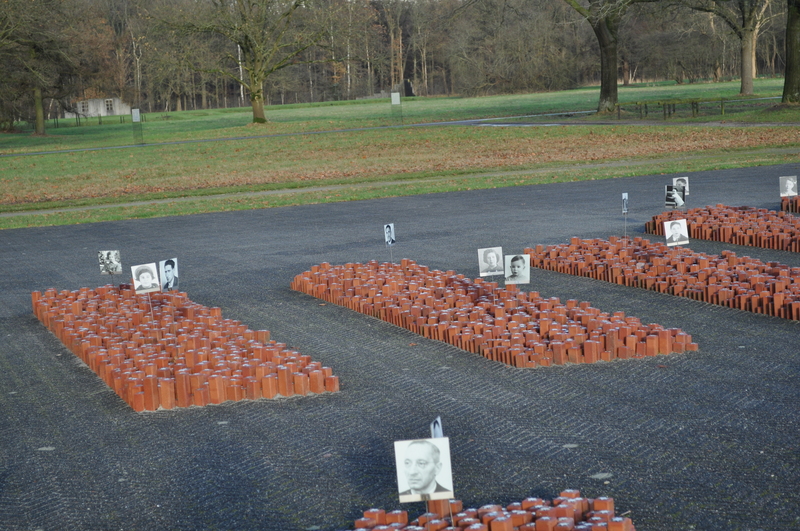 Some of the few survivors of the camp Westerbork gave the impulse to place a memorial for eternity with the erection of the 102,000 stones. 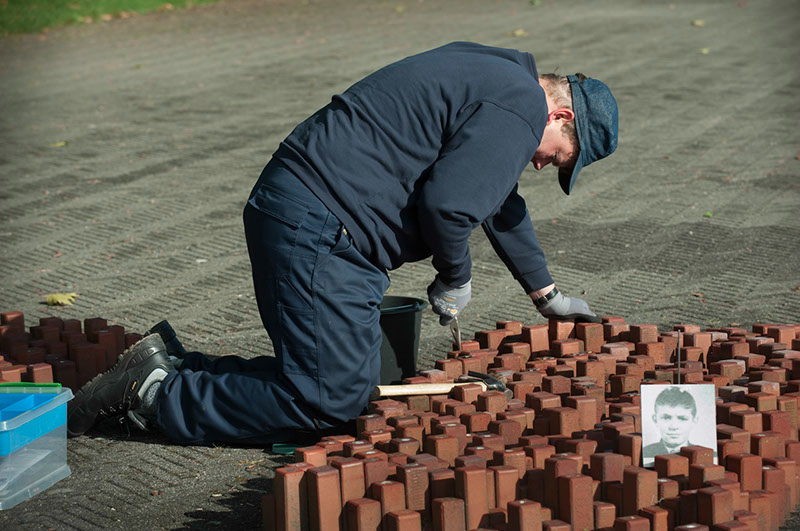 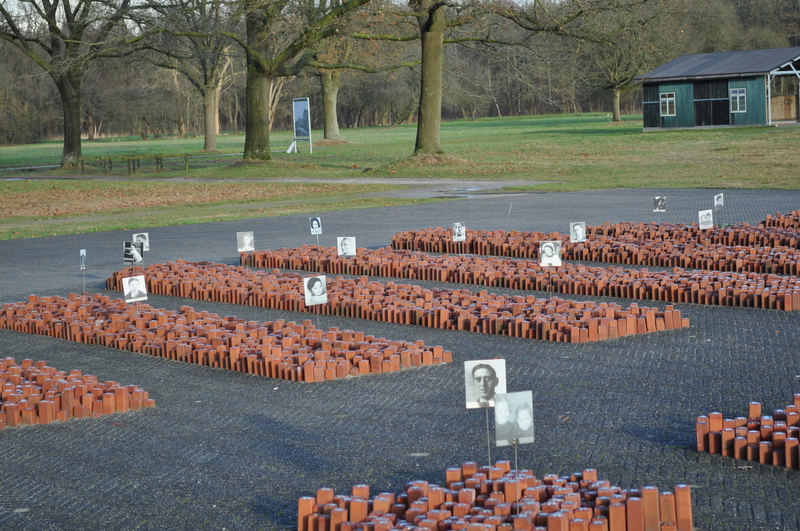 So each of the 102,000 murdered got an own stone of an individual height on the former parade ground of the camp Westerbork. 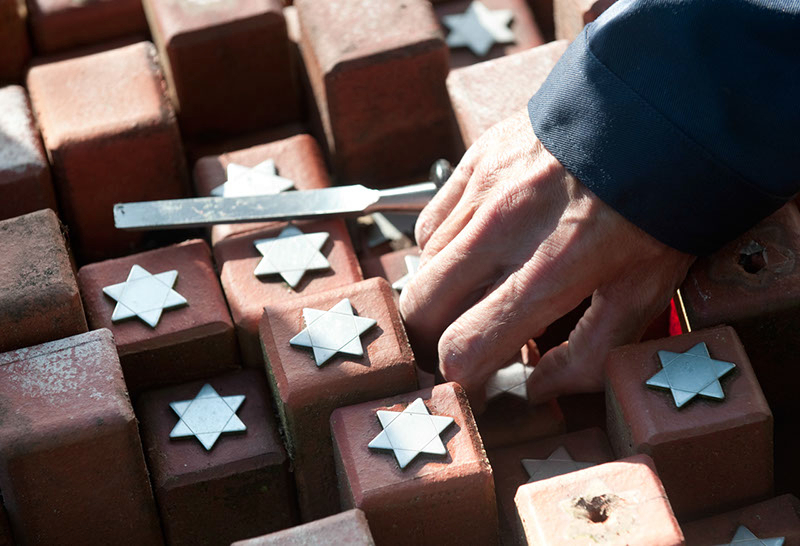 It has either a Star of David in remembrance of the Jewish victims, a flame for the murdered Sinti and Roma or no symbol for the executed resistance fighters. 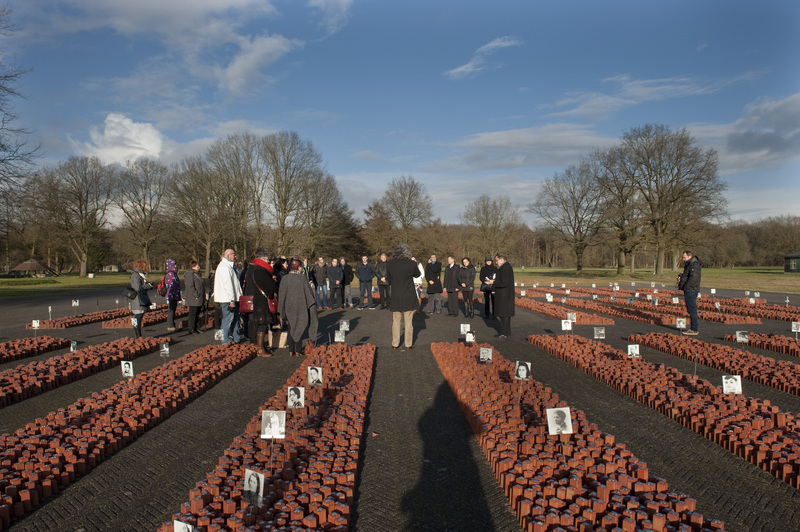 The monument represents an important place for all survivors, who have left no keepsake at all of their passed away members of the family, friends and acquaintances. 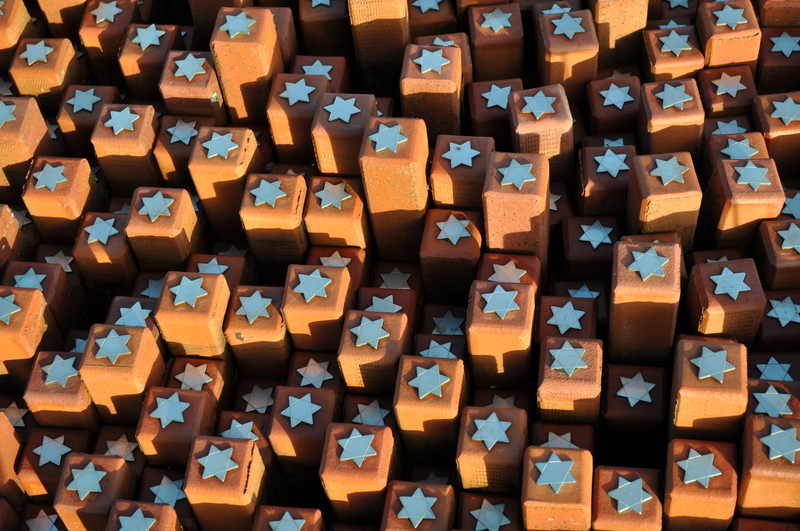 This way they have the opportunity to be close to their dears and to remember them due. 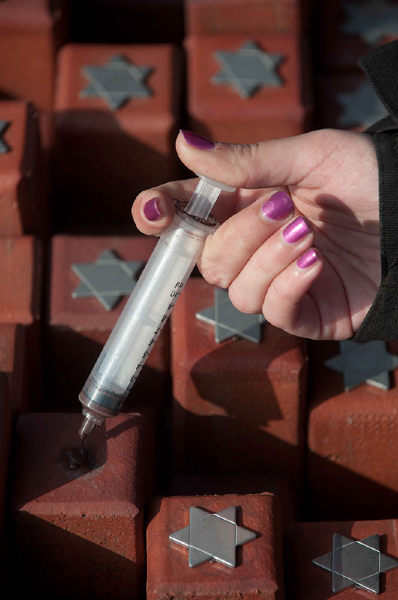 The ravages of time unfortunately had left noticeable marks on the stones. 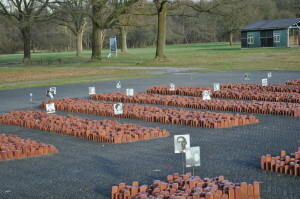 A part of the project “On the way of Anne Frank” therefore comprised to restaurate and if necessary to replace each of the 102,000 stones. 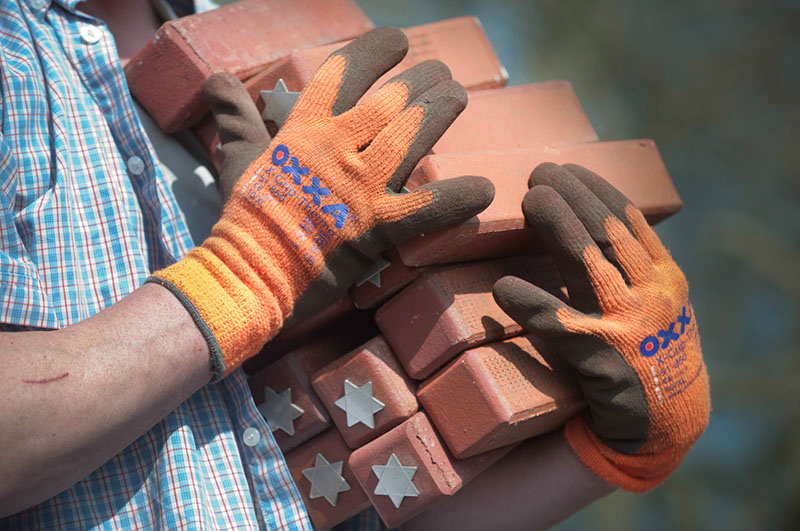 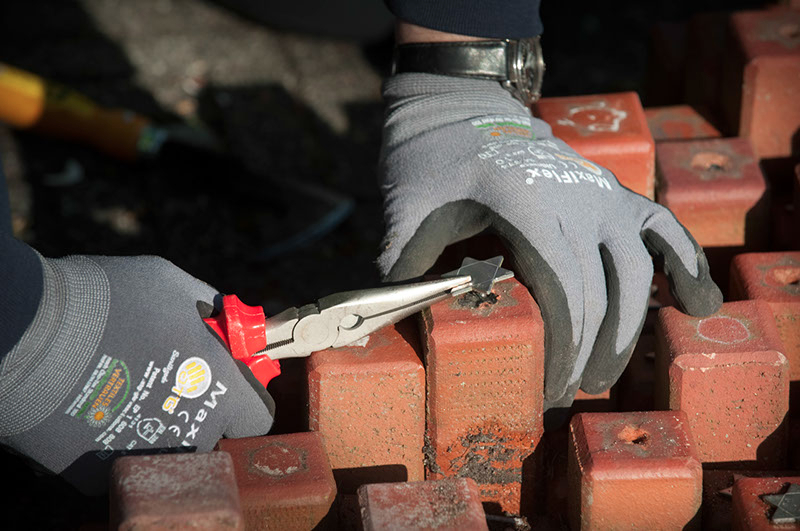 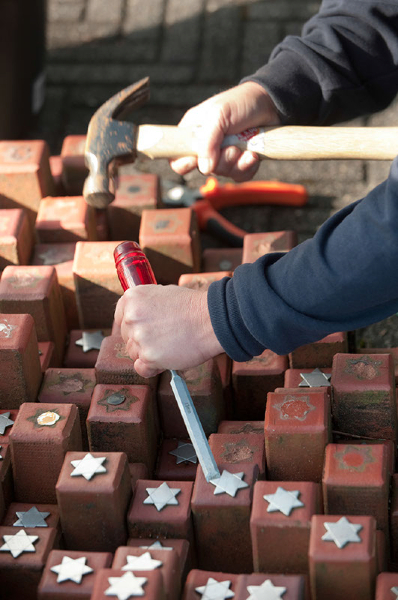 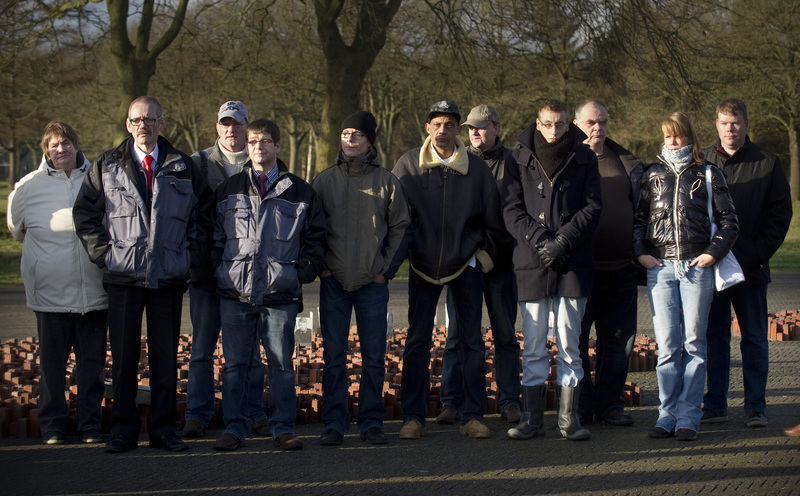 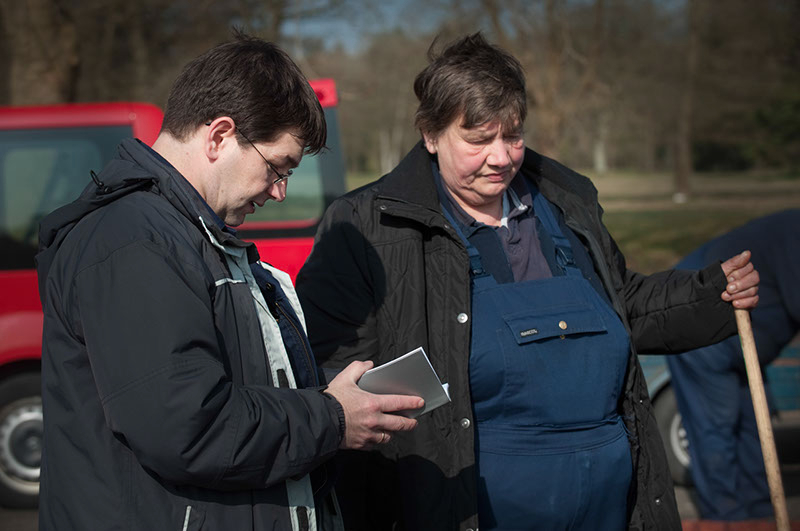 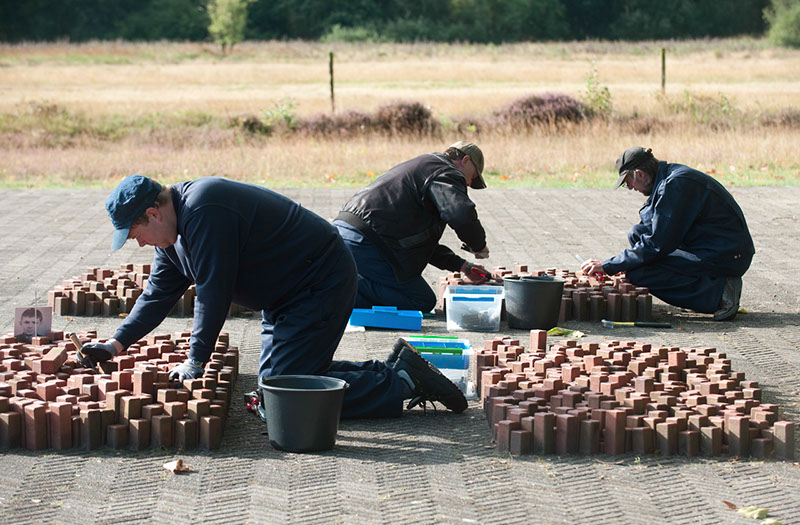 Volunteer German as well as Dutch partly long-term unemployed people were entrusted with the restoration work. 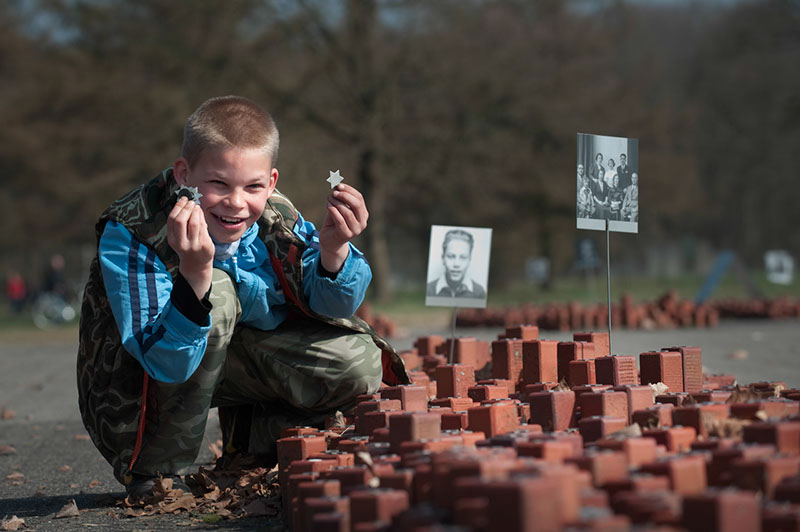 They ensured that the emotional strength of the monument will remain for many generations. 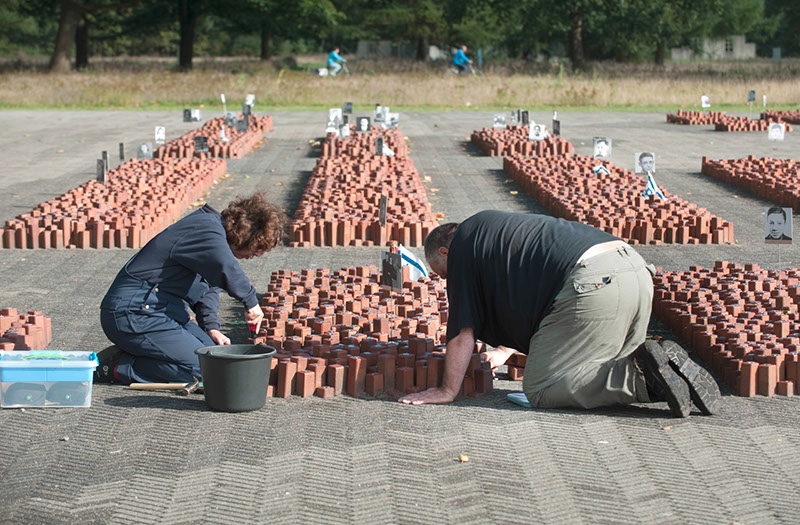 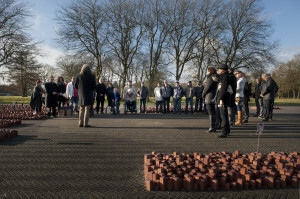 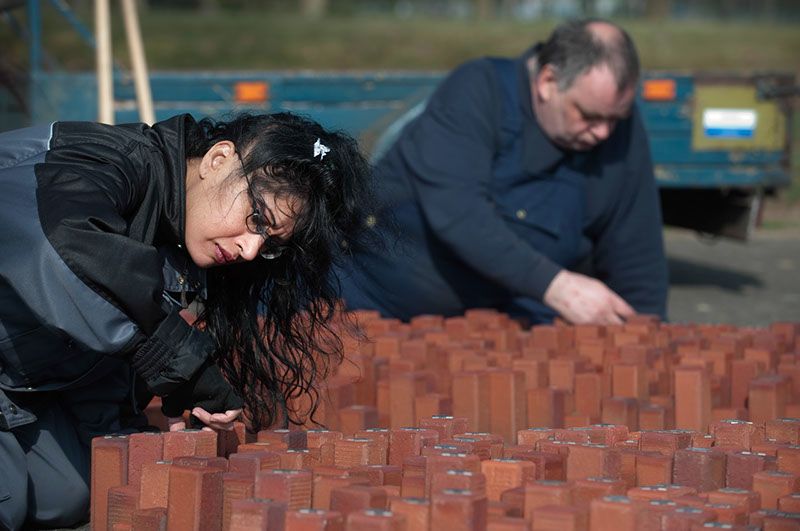 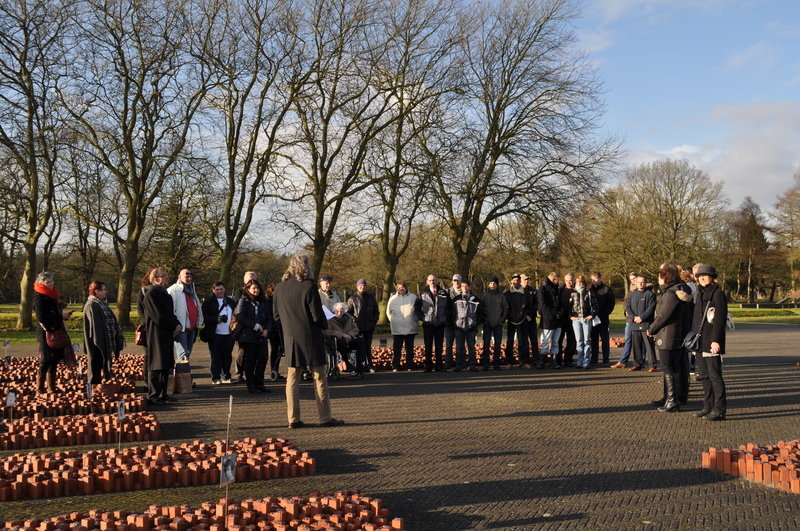 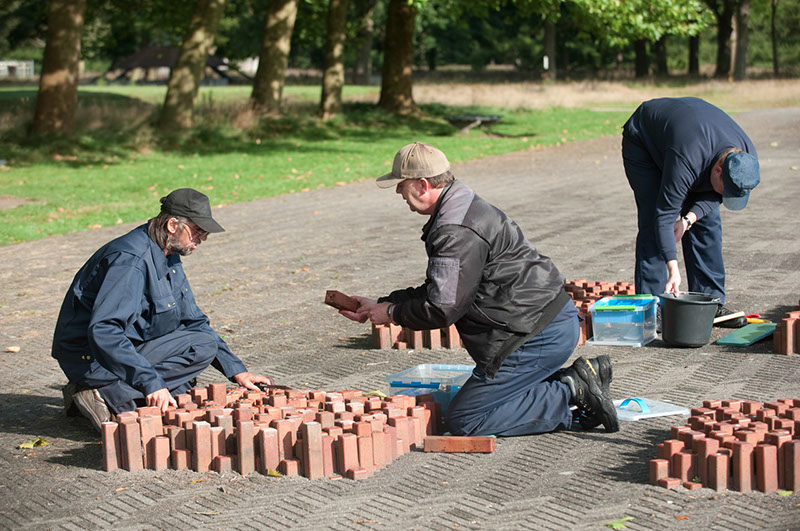 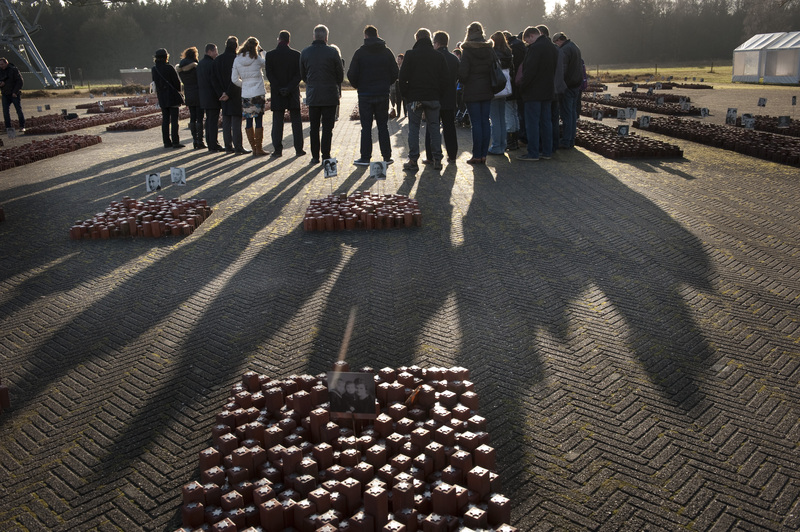 Last Monday the monument of 102,000 stones on the parade ground of the former transit camp Kamp Westerbork, got ist official final inspection. 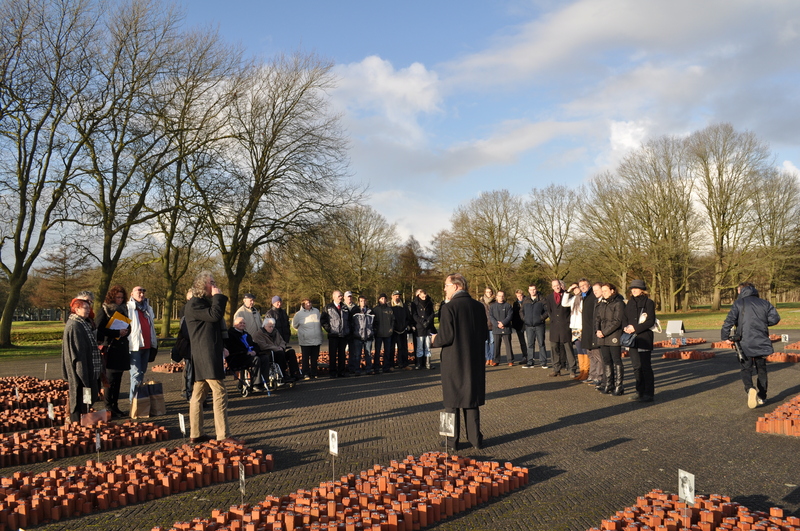 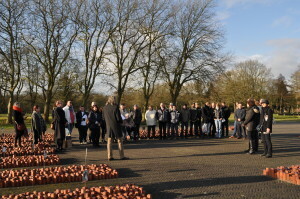 The inspection was conducted by the first county council Rüdiger Reske, the director of the Herinneringscentrum Camp Westerbork Dirk Mulder and the Deputy Mayor of Gemeente Oldambt Mrs van den Aker. 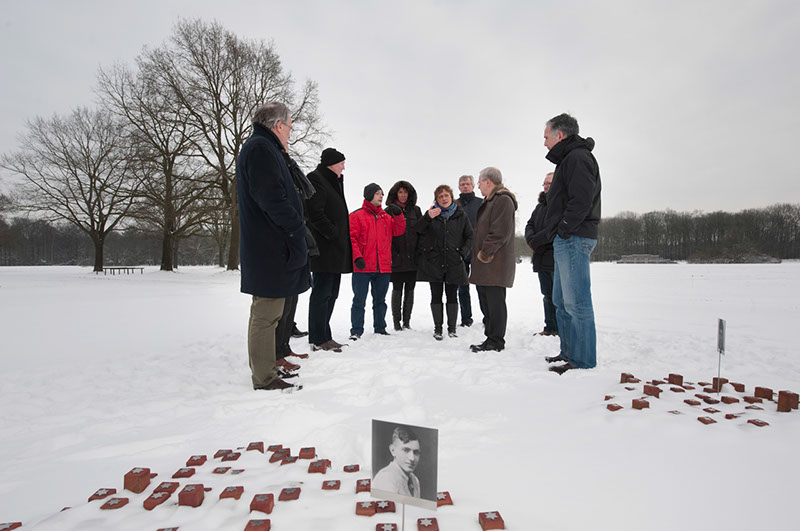 The German instructor Mr. Weers made it clear that they got to know each other’s culture in these two years and friendships have been formed. 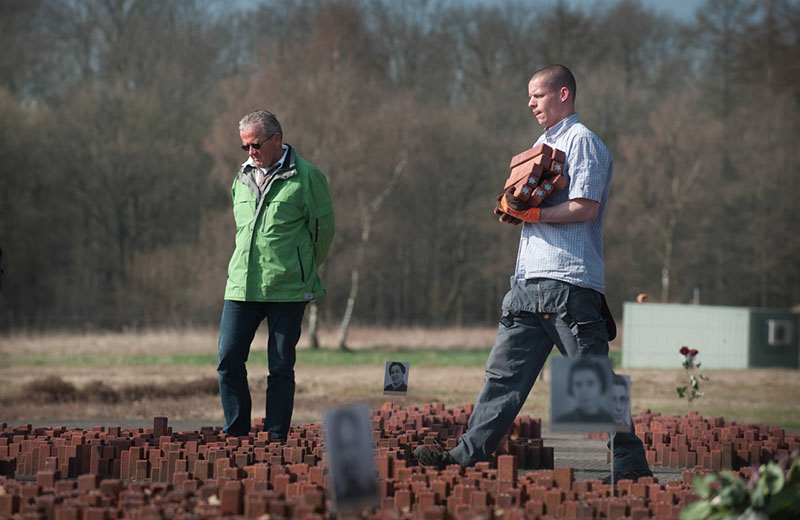 He finds it hard to have to say goodbye now, but he hopes that the contact to the Herinneringscentrum will continue. 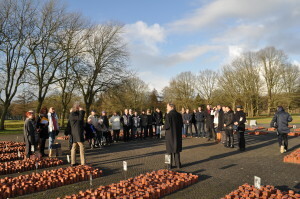 Also the Dutch instructor Mr. van der Laan joined those words. 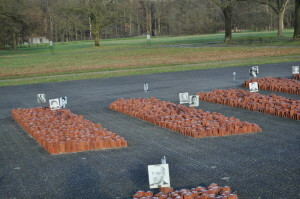 The international project consists of four parts. 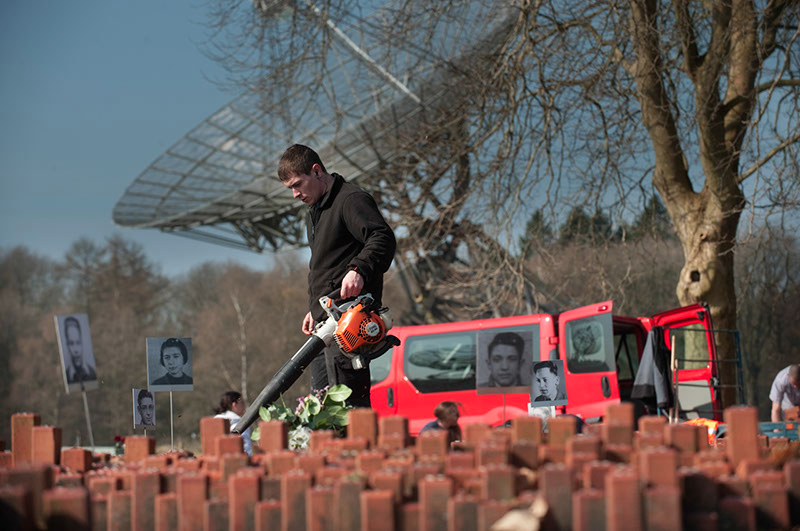 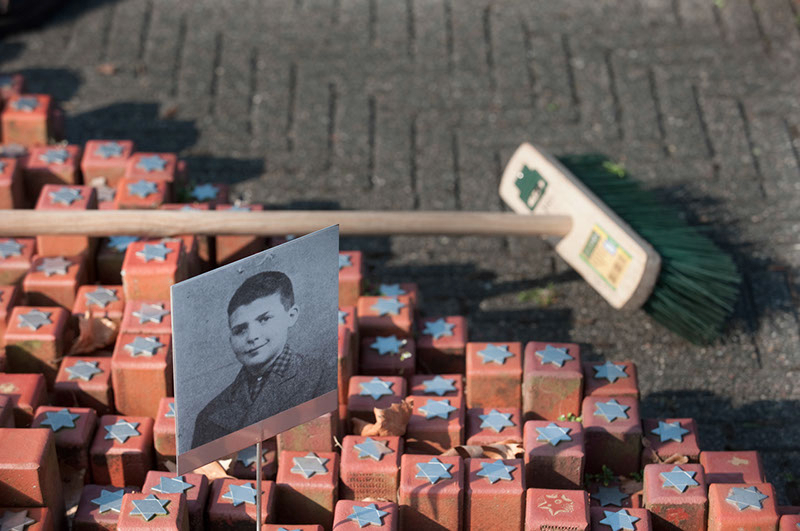 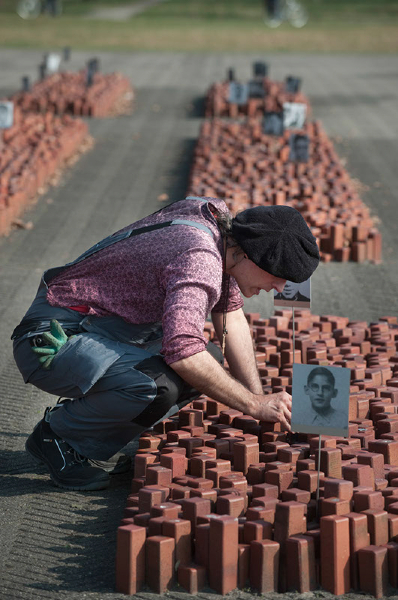 In addition to the already completed subprojects of traveling exhibitions and interviews with contemporary witnesses, memorials at three German and four Dutch stations shall be installed until the end of the project period in April 2015. This project is currently in the implementation phase. 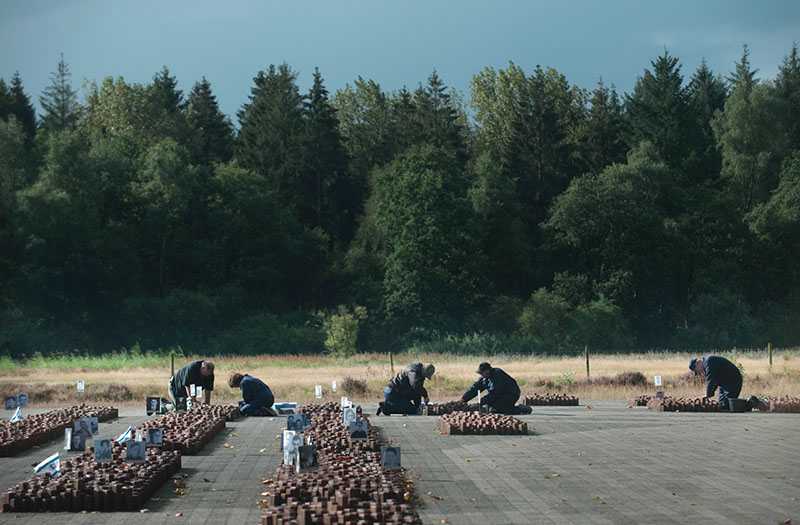 The restoration of the “102,000 stones” has now been completed successfully.